Fixing and preventing cesspit wet spots is the topic of this article. You ran out to the yard that morning because it was a perfect sunny day for a run. But the moment you stepped onto your yard your every step gave a squishing sound. The air was also overwhelmed with a disarming odor. This was much unexpected. When you moved in a few days ago, everything was perfect. You knew that there was something wrong with your cesspit so you called your septic expert. Blockages could cause cesspit wet spots. These can be caused by tree roots and the dumping of non-biodegradable materials or grease. You should have the trees or hardwood plants relocated to another area of the yard so that the invasive roots won’t clog the system anymore. Most of the time, homeowners think of their cesspits as just a disposal unit. They just inconsiderately throw their napkins, paint, diapers, and grease into the system and think that their garbage disposal unit helps the resident bacteria in the cesspit breakdown these compounds. The truth is that it doesn’t. They just remain in the cesspit and block the system. You should stop doing this and make sure that only wastewater enters the cesspit. The resident bacteria in the cesspit are the ones that are responsible for breaking down the solid materials in the wastewater. With their help, the effluent becomes clear when it disperses into the soil absorption system. Once you use those antibacterial solutions and harsh chemicals in your home, you automatically kill the bacterial population. As a result, the system stops. You have to choose products that are bacteria-friendly and environment-friendly to keep the cesspit going. 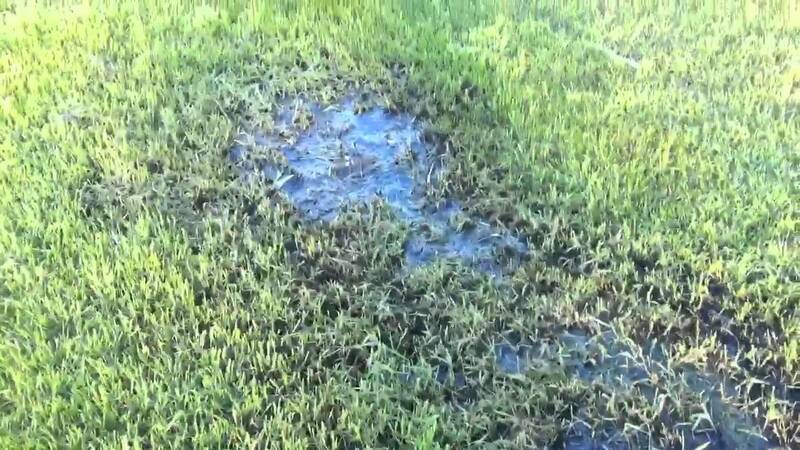 Cesspit wet spots also result from physical damages acquired. This may be brought upon by invasive tree roots, old age, and soil compaction. Tree roots and other hardwood plants, have complex root systems that penetrate the cesspit because of their need to be nourished. The cesspit then becomes damaged or cracked because of the invasive roots. Old age of the cesspit deteriorates its physical structures. You should already have your septic expert replace the ones that need it or the cracks will only get worse. Soil compaction results from the heavy weight of structures and vehicles placed over the cesspit. You have to relocate the trees, vehicles and structures away from the system to correct the dilemma of cesspit wet spots. Pumping out the cesspit is the most important thing that you could do to maintain the optimal condition of your cesspit. Sludge accumulation in the cesspit should be kept at normal levels so that the flow of wastewater could continue smoothly. This prevents clogs and blockages that result to cesspit wet spots. In addition to the repairs, treatments, and corrections is the installation of dry wells. The dry well will help the cesspit with the grey water that comes from your washing machine and the dishwasher. This lessens the water load inside the cesspit and this reduces the possibility of clogging. When your septic expert treated your cesspit, he said that you should always adhere to the pump out schedule because the former homeowner didn’t do this. This endeavor, plus your proper use of the cesspit will help prevent future cesspit wet spots. Fixing and preventing cesspit wet spots is a great way to ensure the long Gevity of your septic system. This article will cover why septic tank systems back up.